I love villians. They’re fun to watch and they’re fun to write. Instead of being stuck within the constraints of what a sane person would do and say, you can really go outside the box. But there was one thing that I noticed about most of them. Most of them either had absolutely no moral code, and/or they were just totally insane. I hadn’t ever written a villian of my own until I started writing The Cain Chronicles. Honestly, I’ve always been a sucker for the misunderstood. Take Pitch Black, for instance. The first moment I saw the anti-hero, Riddick, I was hooked. Then when I found out they were doing a second movie that went more into his mind and why he’s the way he is, I practically jumped off my chair. I’m not sure, but I’m pretty sure I saw The Chronicles of Riddick opening weekend. Likewise, growing up I always wondered about Cain. What were his motives? Why did he kill his brother? I always wondered, just a little bit, if he’d been misunderstood in some way. Of course, this thought came from the same mind that had me praying, at eleven years old, to God, asking Him if he would tell Satan that, even though he was bad, I still loved him because he was my brother. Yeah, I was in a lot of trouble for that prayer. I think my mom thought I would grow up to be a devil worshiper. 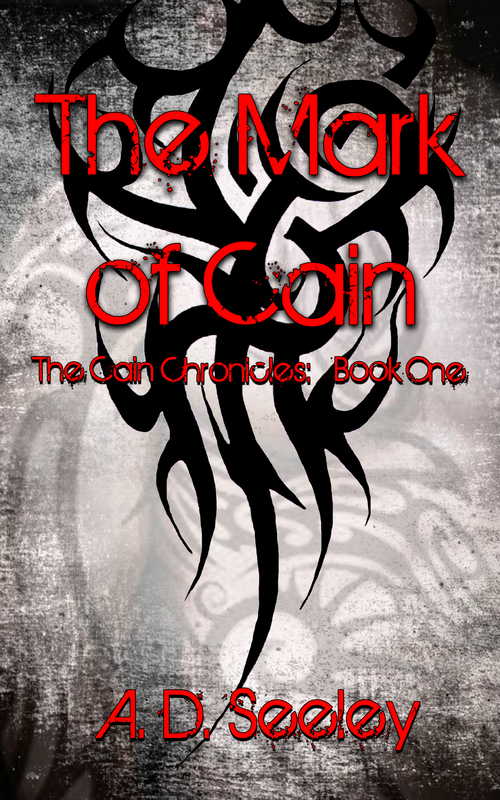 I went into The Mark of Cain hoping to show the story from Cain’s perspective. I wanted people to wonder if they really knew the truth of the oldest story of all. I wanted people to feel for him. So I made my own anti-hero in him. I thought it would be really hard, but it wasn’t. He came through my fingers as though he really existed. He came out, in my opinion, pretty well-rounded. Though I got to play with him at his most evil in a flashback of him as Vlad the Impaler (the Romanian prince who was the basis of the story for Dracula), I also got to play with him in his most vulnerable moments. In the moments that made him the way he was. Yes, he might be completely evil at times, but even at his worst he still had his own moral code. And that was the funnest thing of all. Most villians have none. They kill and they don’t care. But Cain DOES. He DID. And that was more interesting to me than a good old-fashioned villian who doesn’t have any moral compass. I hope people like him as much as I do because he’s definitely the most interesting character I’ve ever written. And, though these other books aren’t published (yet), I have written two other series. Of course, they’re full of “good” people. And yes, I even have a stereotypical villian. But she’s not as fun. Now for the other two series I’m writing right now, they both go back to the anti-hero I oh so love. So I’ve had very few good hair days in my life. My strands just have a mind of their own. Okay, I’ll admit that it’s also laziness on my part. I’ve always been the person who looks at 5 minutes of getting reader as 5 minutes I could have stayed in bed. I am NOT a morning person. My hair didn’t start out awful. It was straight and shiny and the perfect blonde color to go with my skin tone. Sure, I had those times as a child where it looked horrible (after chopping half my bangs off or after one of the multiple times we had to cut gum out of it), but it wasn’t too shabby in the early years. But around 4 or 5, it kind of started becoming a rat’s nest. I don’t know how much of this nest was caused by always being outside, playing with the boys. Or maybe it was because, by that time, I got myself ready most days and my hair just didn’t warrant any attention. My mom still did my hair on special occasions (school photos and such). She and my grandma were obsessed with Shirley Temple so, when my mom did do my hair, it was by rolling it in pink sponge curlers and having me go to bed that way. I must have been totally brainwashed because I LOVED my hair like that. Fast forward a few years and my mom just couldn’t stand how disgusting my hair always looked. I owned a brush, I remember using it to make the ‘80s party bangs, but other than that, I don’t think I brushed my hair once. My mom got so tired of it that, in 4th grade, she forced me to chop it all off into what my siblings dubbed my “mushroom hair.” Yeah, it was pretty bad. Luckily I only had to have it a little while, perhaps a year or so. After that it grew back out and I tried to brush it once a week to keep my mom from making me chop it off again. Now, I don’t presume to speak for all writers, but as I was writing a scene for a new book recently, a scene where something horrible happens to one of my characters, and I started crying while writing it, I thought back on this unanswered question from long ago, and I finally had my answer. Yes, they do. Or at least I do. Even though I was the one writing the pain in my character’s journey, there I was sniffling and wiping away tears. You see, I connect so fully with my characters that I feel as they do. When something really funny happens to my character, I find myself skipping about my house, or the grocery store, or wherever else I may be. If I’m writing a scene in my head while in public, I’ll have a secret smile or scowl to go with it. One only I understand. People have asked me at times why I’m so sad; if I’m having a bad day. And I’ve blurted, “No! But my poor character! Her boyfriend just cheated on her!” Or they’ll ask what’s so funny, and I’ll say, “Oh, my character is just so silly. You won’t BELIEVE what they did.” As though they’re human. And real. I empathize with them. Does that make me crazy? Probably. But really, I think it’s a mark of a good character. If I can cry, let a scene ruin my day, or make it put a smile on my face for hours, then hopefully it has that same effect on my readers. Because what is worse than having a reader not connect with my characters? I want them to cry with them, to laugh with them, to be angry or frustrated with them. I want my readers to be able to really feel that my character is a real person they can empathize and sympathize with. I don’t know if I accomplish that, but I know I do for me. And really, as I write these books basically for me, then I realize I’ve accomplished what I set out to do, and to me, that’s the most important thing of all. 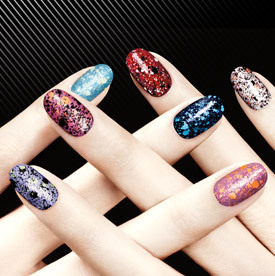 Okay, so those who know me know that I’m obsessed with nail polish. Literally, OBSESSED! The first thing my nieces ask me every time they see me is, “Did you bring nail polish?” Why do they ask this? Because usually I bring a bag with 50 or 60 different colors every time I play with them. I let them paint my nails whatever color they want (okay, usually 5 different colors per hand and foot) and then I pain their’s in return. I think the reason I’m such a nail polish fiend is because, long before I was comfortable with my body and fashion, I could show my personality with my nails. Hell, back at my last job I’d do my nails different every week and everyone would come up and ask me what color my nails were that week, so it’s not only my nieces who’ve noticed. So when I was at Sephora the other day doing research on skin care for work, I pretty much wet my pants with excitement when I saw that Sephora had released its own nail polish the day before!!! Was Cain Really All Bad? I don’t know where most writers come up with their material, but I’ve always been extremely interested in history, as well as in the “bad guys” in stories I grew up with. I always wondered what it was really like for them. Have the stories changed so much over the years that they were misrepresented? Why did Cain really murder his brother? And did he even understand what he was doing? The Bible and other stories only show it from an anti-Cain point of view, but what was Cain’s perspective in all of this? Another person I have always been fascinated with is Vlad the Impaler. For those who don’t know, Vlad Tepes was a Wallachian prince in the 1400s who pretty much impaled alive anyone who committed any sort of crime, as well as those who went against him. He was ruthless. Yet, despite the thousands of deaths at his hands, his people believed he was the Savior come again. I’ve been pretty interested in Vlad since I was fourteen, so it wasn’t really that surprising when one of my uber-realistic dreams starred him. I saw him standing in the middle of a field, water pouring down upon it. All was dark and violent, rivulets of water running down his black armor. His hair was long, drenched to the point where he had loose curls kissing the shoulders of his armor. Then he turned to look at me. And in that moment I knew that he wasn’t Vlad. He was really Cain. Cain had only taken on a different name. In that moment I realized that he had done this thousands of times over the span of history. That’s when I woke up and The Mark of Cain was born. It’s been a long journey. One that I’ve felt numerous times as I’ve edited it, yet I never lose my love for the story. And it still makes me cry no matter how many times I read it. It’s funny because I never set out to make Cain a sympathetic figure, and yet now I find myself wondering, was Cain really such a bad guy after all? Or is he only the most misunderstood figure in history?